HomeCEREBRE: Is a ‘Brainprint’ the Future of Biometric Technology? The positive identification of a person has been identified as a need of our growing society for centuries, together with crime and law enforcement. First there was facial recognition and detection of walking style. Now, with our ever-increasing human population the need for “more accurate” identification appeared, including fingerprints and handwriting analysis, either to identify or to authenticate (e.g. bank transactions) certain individuals. Nowadays, a large variety of biometrics is available for identification and authentication based analysis of certain human characteristics, including visual, chemical or auditory data. Still, none of these alone has proved to be so far 100% accurate, thus leading to the multimodal biometric systems, which use multiple sensors and types of information to overcome the limitations of a single biometric method. 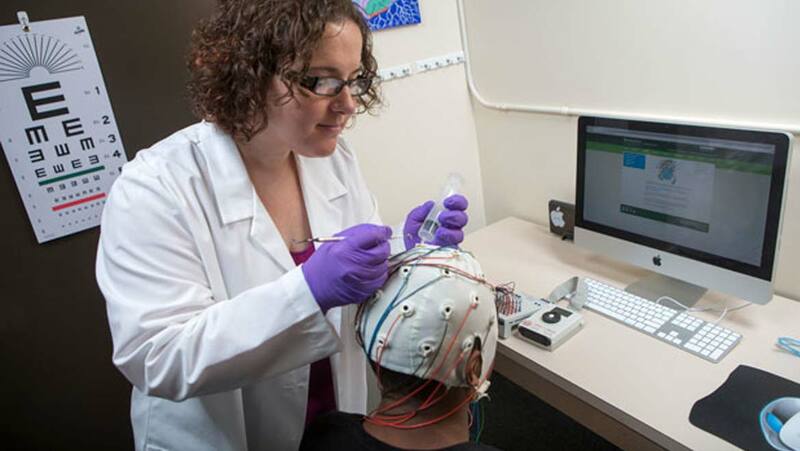 Researchers at Binghamton University might just have found the absolute biometric method of the future – the brainprint. Fingerprint recognition, based on the minutiae found on the surface tips of the fingers. Facial recognition, based on facial features and patterns. Iris or retina recognition, based on features and patterns found in the eye. Signature and handwriting recognition, considering the analysis of writing style. DNA Matching is the chemical biometric primarily used in criminal investigations. Auditory biometric technology, based on the analysis of human speech to identify or authenticate a voice or a speaker, is currently evolving, and usually combined with some of the visual biometrics to increase accuracy. Some other biometrics, such as vein, ear, finger or hand geometry, or gait recognition are less popular. Human brain activity is continuous and by using adequate technology, such as a helmet packed with electrodes, the brain waves, represented by electrical potentials generated by neural communication, can be recorded. The result is an electroencephalogram (EEG). Researchers at Binghamton University have further proved that these brain waves are unique to each individual, when averaging a multitude of EEGs time-locked to an adequate stimulation. The Cognitive Event-Related Biometric Recognition (CEREBRE) is a biometric protocol intended to provoke unique responses from multiple brain systems of an individual. This includes the primary visual, facial recognition, and appetitive systems. The EEGs of each of the 50 persons participating in the test were averaged while they looked at a series of 500 images specifically designed to elicit unique responses from person to person. The results showed that each person’s brain reacted differently to each image, and the computer could identify with 100% accuracy each person taking the test. Importantly, the system is also very sensitive to emotional load and it can differentiate between the brain waves of the same individual under both stress-free and stressful conditions, thus making it much more secure than other currently used biometrics technologies. While you cannot wear a head helmet with electrodes at your front door, or when trying to access your smartphone, this technology might one day be adopted for high security access to certain facilities such as naval research bases and nuclear instrumentation labs all over the world. First though, certain technological limitations need to be overcome, including a comfortable system to capture brain waves and the technology must become more cost-effective.